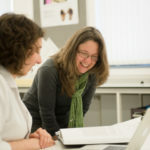 The MPhil Textile Conservation programme has a new convenor: Karen Thompson has recently taken over the role from Frances Lennard, who has led the programme since it was established at the University of Glasgow in 2010, and before that at the Textile Conservation Centre, University of Southampton. 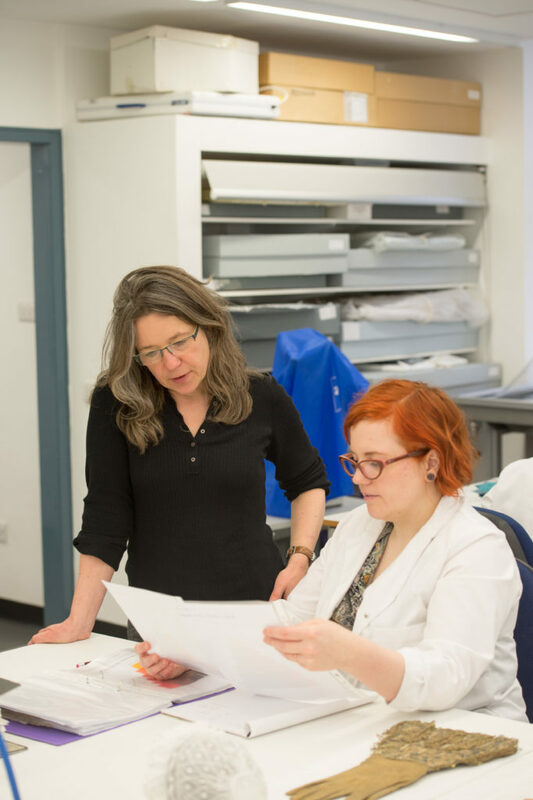 The programme will be in excellent hands as Karen has a wealth of both textile conservation and educational experience. She completed the Postgraduate Diploma in Textile Conservation at the former Textile Conservation Centre at Hampton Court Palace in the 1990s, and went on to work in a number of institutions as a textile conservator, gaining experience of working in different environments and with different types of collections. These included National Museums Scotland, the National Museum of Labour History (as it was then) in Manchester, Artlab in Australia and the Musée des Tissus et des Arts Decoratifs in Lyon, France as well as the Textile Conservation Centre at both Hampton Court and the University of Southampton. 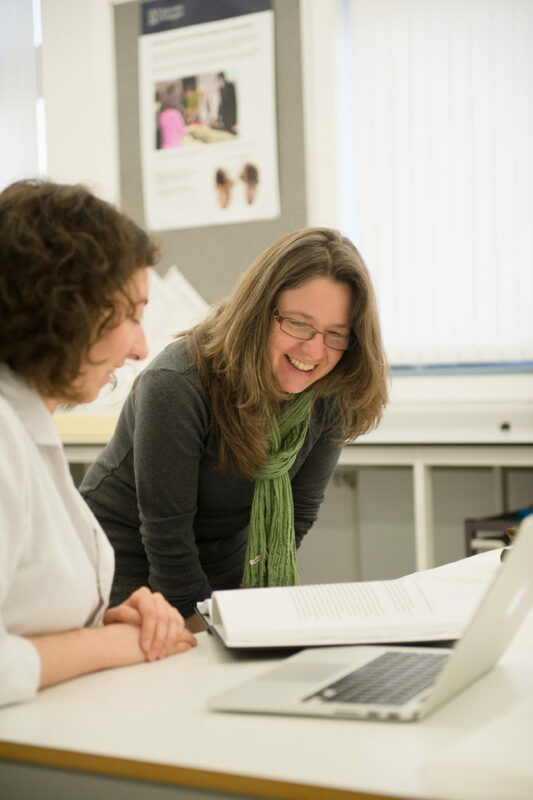 Since joining the programme in 2011 as Lecturer in Textile Conservation, Karen has led the practical skills’ development of our second year students and they have benefited enormously from her skill and experience. She also has the major role of overseeing student placements. Karen has had a long-term interest in teaching and has worked in the education sector as a qualified teacher of junior age children. Since joining the University of Glasgow in 2011, she has expanded her interest in teaching postgraduate students. 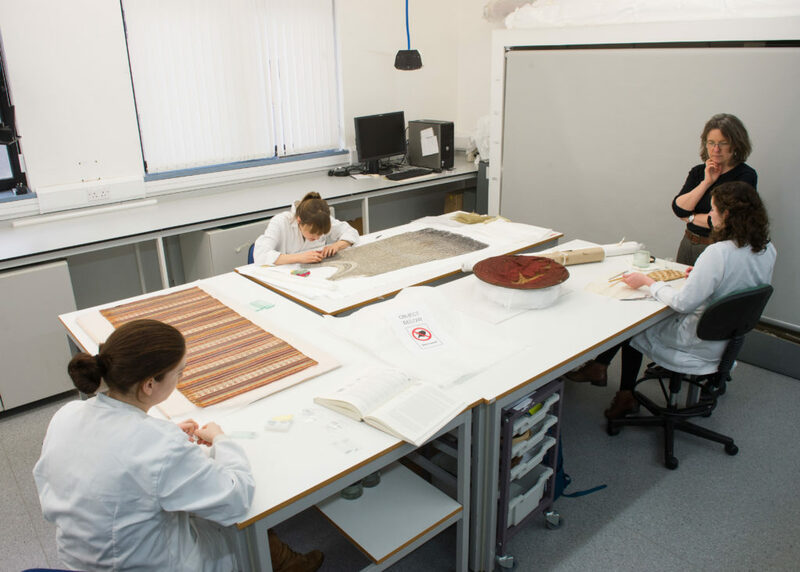 She has carried out research into different aspects of teaching conservation with her fellow Lecturer in Textile Conservation, Sarah Foskett – together they published a paper on the learning and teaching of reflective practice skills in the proceedings of the 18th Triennial Conference of the International Council of Museums Conservation Conference (ICOM-CC), which took place in Copenhagen earlier this year. Karen also presented a paper on promoting graduate attributes through diverse approaches to assessment at the University of Glasgow Teaching and Learning conference in 2017. She is currently the Learning and Teaching Convenor for undergraduate studies for History of Art. Karen will continue to work with the other members of our experienced, enthusiastic and talented textile conservation team, Sarah Foskett, Anita Quye and Margaret Smith, as well as myself, to deliver teaching on the MPhil Textile Conservation programme, and will coordinate the work of our team of eminent visiting lecturers who do so much to enrich the programme. All the best in your new post and career path. Congratulations Karen, we are sure you will be wonderful! However we hope that we shall still see Frances, will she have a different position, President or something? Best wishes to both of them and rather belatedly Happy New Year and Burns Day to all! Good luck and a following wind for both of you! It’s a very long time since I was one of your executive committee and I’ve never seen your last x3 new premises but I still like to hear news and to see you’re still keeping your end up as a really innovative educational and research oriented conservation outfit.